The average life expectancy is increasing. Thanks to automated production, more effective and affordable medications and therapies are made available to a wide range of patients. From June 19 to 20, 2018, the leading international trade fair Automatica in Munich will show how economically and efficiently pharmaceutical and medical products can be produced today. 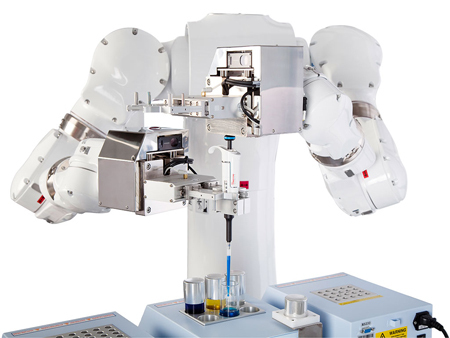 The development seems unstoppable: Automation pervades all areas of production of pharmaceutical and medical technology and leads to new process quality with positive effects for patients and staff. 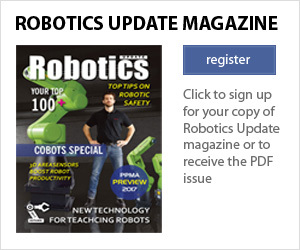 Producers and plant engineers in close collaboration are succeeding again and again in finding new, efficient automation solutions for the most demanding manufacturing procedures that were previously considered as non-automatable. An example of this comes from Italy. The system house Elettrosystem succeeded in creating a world first with the realization of a complex system for the difficult mounting of spiral tubes. The spiral tube is a special hollow probe used in anesthesia and intensive care medicine. In the past, it was not feasible to mount a fine screw spring made of steel on a PVC tube and coat the component with adhesive. The challenges were in distributing the spring coils uniformly as well as in handling the two flexible components. 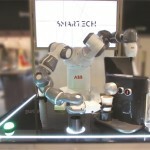 The world’s first facility for the partial assembly of four spiral tubes simultaneously consists of two mirror-image designed cells, in which four precise Stäubli six-axis robots handle complex tasks. 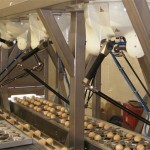 The spring is mounted in an integrated process cycle, which is linked via linear systems. In the production of dialyzers in quantities of more than 100 million worldwide each year, not only innovative process technology solutions are in demand, but reliable control of each production step is also crucial. 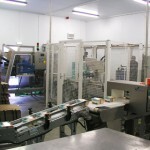 “We rely on fully automated processes to eliminate error sources in production. As a result, we achieve a consistent level of quality with extremely low tolerance as well as safe processes and cost-effective production,” Dr. Franz Kugelmann emphasized, Head of Technology Development at Fresenius. 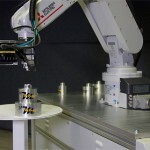 Six-axis robots from ABB as well as Scara robots from the Japanese manufacturer Epson are used for assembling the dialyzers. 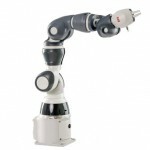 The Epson four-axis robots handle different tasks, ranging from mounting and operating to feeding system components and all the way to packaging. 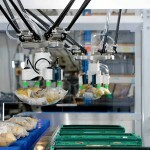 Volker Spanier, Head of Factory Automation at Epson, sees conclusive evidence in the Fresenius production that robot-supported automation solutions contribute significantly to maintaining production sites in Germany and Europe. 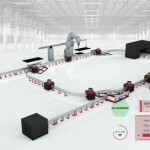 At automatica in Munich, the company will show how Mikron reacts to the new market requirements in terms of higher flexibility and scalability of assembly plants and a shorter time-to-market. A wide range of products will be presented there, ranging from manual work stations to “Proof of Principle” and all the way to the well-known high-performance systems. Standard laboratory equipment is often not really designed for automation. For the operation of the equipment, Yaskawa is therefore preferably using two-armed robots and paying attention to a strict separation between programming and operating robots. As a result, defining workflows becomes as simple as possible for laboratory staff. 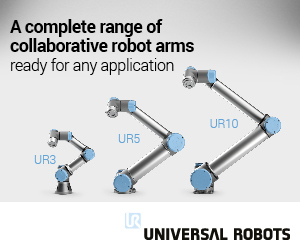 The manufacturer will present the latest developments in dual-arm robotics in Munich.